To clear up what appears to be a common misconception I’ve seen in most coverage of Robbin’ Season, the concept behind this season’s subtitle isn’t specific to Atlanta and probably didn’t even originate here. It was, after all, the D.C.-based rapped Shy Glizzy who recorded a song called “Robbin’ Season,” a lyrically generic ode to wintertime trappin’. And because irony hustles harder than any of us, Glizzy got his chain yanked right off his neck during a show in Memphis. (Glizzy claimed the chain fell off.) The either forceful or merely opportunistic thieves reportedly offered to sell the chain back for $50,000. But before anyone accuses them of being unreasonable, they later lowered the price and sold the chain to a Memphis rapper named Blac Youngsta for only 20 percent of the original asking price. It was an entire to-do. The point is that robbin’ season is universal and doesn’t discriminate. Desperation is year-round. In Freeway’s stick-up boy anthem “What We Do,” he says “It’s a cold winter/Y’all niggas better bundle up,” and he’s probably being literal because Philadelphia winters are terrible, but the people for whom that song resonates certainly don’t work reduced summer hours. “Robbin’ season” is, like so many cultural concepts, a made-up thing that makes a cruel and random world seem slightly less cruel and random. It’s not that the universe hates you, it’s just robbin’ season, and sometimes people get got. That idea would certainly be comforting for me if I was Alfred trying to lick his wounds after being robbed by his drug dealer. The twist of the knife, Alfred says, is that he’s been buying from the guy without incident for 10 years prior to what might be history’s most polite armed robbery. That explains the dramatic irony. It’s pretty obvious from the first minute of “Sportin’ Waves” that Alfred is about to get jacked. His connect is super shifty and the meeting location is pretty terrifying even by lax “dark alley” standards. It’s still somehow surprising when the guy puts a gun in Al’s face and demands his sack of cash and his car keys, lest a high-speed chase ensue. The mishap allows Alfred to update the audience on his current situation, which isn’t nearly as cushy as “Alligator Man” made it seem. Dealing drugs still provides his main source of income. He’s still producing new music, though it doesn’t appear that he has even enough material for an EP at this point. His music is making an impression on people, and apparently providing some play money, but while Al is straddling two worlds, he’s leaning heavily in the direction of illegal pharmaceutical sales. He’s not famous enough to be rich, but too famous to go to a meeting with a potential plug without it turning into a weird, impromptu fan convention. But for Alfred, as frustrating as the drug game is, it beats performing for a room of bored tech employees at the headquarters of a nondescript streaming service. Al has the music and the charisma, but he lacks the patience to walk into a predominantly white space and speak the native tongue without looking or sounding aggravated. Al and Earn have a really interesting Hendricks-and-Bachman vibe between them, with a creative genius who doesn’t know how to work people and an unreasonably confident sidekick who makes up in charisma what he lacks in talent or know-how. 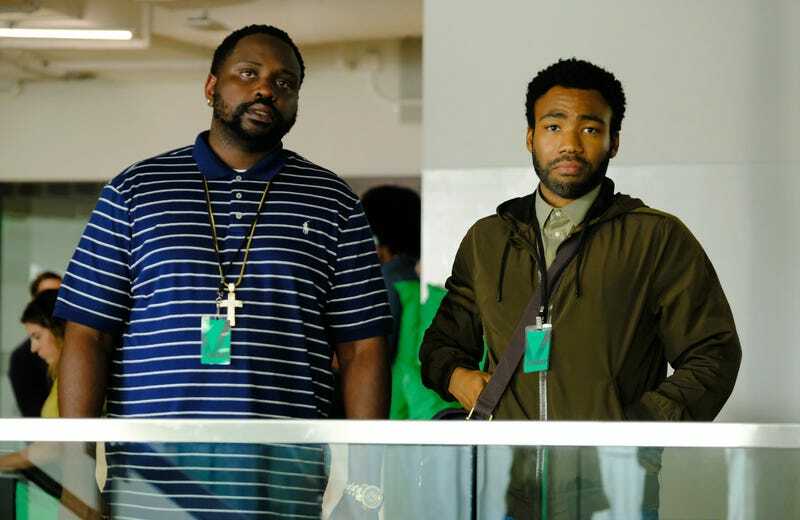 And it seems like Al knows he needs Earn’s help, but when he’s face-to-face with Clarke County, another up-and-coming Georgia rapper, he introduces Earn as his cousin. It’s only when Clarke’s manager Lucas joins the conversation that Earn’s role in Alfred’s career gets a definition. 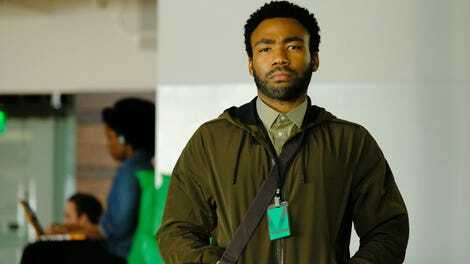 To a certain extent, Atlanta is just a show about a guy who could probably be a lot more successful if he was just a bit choosier about the company he keeps. I’ve never winced harder watching this show than I did when Earn gladly hand $4,000 to a recently released prisoner who promised him a 100 percent return on a mall gift card. That’s literally the shadiest thing I’ve ever heard of, and it’s a pretty potent illustration of why Earn is still referred to as “the cousin” more often than “the manager.” He has some drive, some smarts, some people skills, some judgment, but he doesn’t have a surplus of anything. If Earnest plans to take his music career—and Alfred’s—to the next level, he’s going to have to start making much better choices. Whatever temp agency Tracy went to is apparently hiring and their standards can only be so high. Alfred is off house arrest now, so that’s a silver lining. He also sells Molly, apparently. The idea of a white streaming service executive called “35 Savage” by his staff is too perfect. Tracy definitely let those waves bake a little too long. He’s super into BoJack though so he can’t be all bad. There’s a full-blown YouTube wormhole on the “Shy Glizzy’s chain” saga if anyone’s interested in that kind of thing. I honestly liked both Amber’s acoustic “Paper Boi” cover and Clarke County’s Yoohoo jingle. So...yeah. A minor quibble: If you’re going to set a television show during the holiday season and do a scene set in a mall, the mall has to look like it’s the holidays. This one didn’t. No Santa, no artificial snow, no employees forced to wear Santa hats, no pop-radio carols, no nothing. Malls start putting out Christmas crap in mid-September.